C.O. 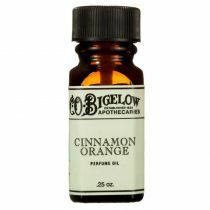 Bigelow Cinnamint Mentha Lip Shine is a glossy high shine lip balm with a burst of cinnamon & mint. No. 1190 Cinnamint Mentha Lip Shine Cinnamon Oil .1%, Peppermint Oil .6%. Our Cinnamon and Mint-infused lip balm provides a glossy high shine with a refreshing cooling sensation. Lips stay moist and protected while cinnamon and peppermint oil give breath long-lasting freshness. C.O. Bigelow Cinnamint Mentha Lip Shine soothes your lips, gives them a high glossy shine and leaves breathe feeling fresh with its cinnamon and peppermint fusion. Just started using. Got a while ago. Not sticky and makes your breath smell good and plumps your lips. I get very bad chapped lips, especially in the winter. I've tried so many different types of products to help my lips but they only make them worse! 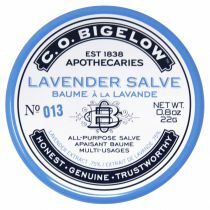 THIS is the ONLY product that not only smooths my lips but ALSO repairs the damage! I LOVE THIS PRODUCT!! LOVE this Mentha Lip Shine! I have been using it for years! I use it on top of any MAC lipstick I use, and it makes lips look full, plump, glossy, and gives a little kick of mint to your breath! Only thing I don't like is the packaging- I have now gone through 2 of these, as they tend to come apart at the top and product leaks out . Sticky mess. This product is great! Lasts for a long time on lips and love the menthol feel, taste too. I would like it to be just a tad thicker but that is personal preference. Other than that for how good it is the price is good and I will be buying more! Made from the bark of cinnamon trees, Cinnamon Bark Oil freshens breath, inhibits bacterial growth and is high in antioxidants. 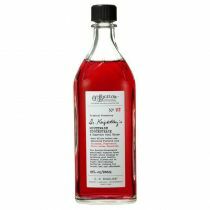 Polybutene, Petrolatum, Hydrogenated Polyisobutene, Flavor, Metha Piperita (Peppermint) Oil, Cinamomum Cassia Leaf Oil, Cinnamomum Zeylanicum Bark Oil, Silica Silylate, Octyldodecanol, Sodium Saccharin, Quaternium-18 Hectorite, MEthyl Diisopropyl Propionamide, Propylene Carbonate, Benzyl Benzoate, Cinnamal, Limonene, Eugenol, Linalool.